World Aid Walk 2018: Guernsey Monday 7th May 2018. We are very sorry but online entry has now closed. You can register on the day of the event from 8am at the late entry table in the Inner Street of the Market. To save time, it would be helpful if you could print out the following Late Entry Form and complete it. Please note that if you are under 16, it is essential that you have the signature of a parent or guardian on your form. Children year 5 or below must be accompanied by an adult. There is a late registration fee of £15 per adult and £5 for under 16s, unless you raise more than that in sponsorship money, in which case the fee can be claimed back. Even if you're not taking part in World Aid Walk 2018: Guernsey you can still do your bit for charity by making a donation. The 2018 World Aid Walk will take place on Monday 7th May starting at 9am. Since the first World Aid Walk started in 1970, you’ve raised over half a million pounds to help people in need around the world. This year will mark the 48th Guernsey World Aid Walk and the 8th Herm World Aid Walk. 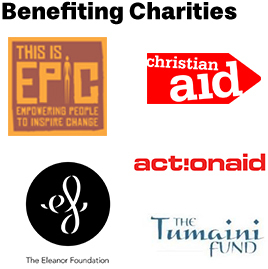 ActionAid, Christian Aid, The Tumaini Fund, This Is EPIC, and The Eleanor Foundation, will all benefit from the funds you raise in 2018. Read more about their chosen projects on this website www.worldaidwalk.org.gg. Every penny you donate this year will be doubled by the Overseas Aid & Development Commission, so please encourage all your friends, family and colleagues to donate and help change the lives of some of the poorest communities in the world. 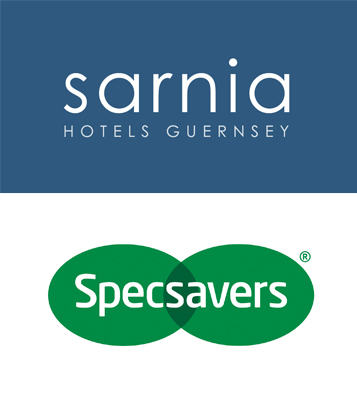 We are delighted to continue our association with our sponsor Sarnia Hotels Guernsey, and are very happy to announce that we have an additional sponsor for 2018, Specsavers. The funds that they provide ensure the smooth running of the World Aid Walk as well as ensuring that every penny raised from the walk goes towards the beneficiary charities. For the third year running, the Overseas Aid and Development Commission has agreed to match fund every penny raised by the Walk, so that means your donations will go twice as far to help some of the poorest communities in the world, so please encourage everyone you know to donate. For the first time this year, we are selling bespoke World Aid Walk 2018 t-shirts as part of the registration process for just £10. The shirts are made from technical sports material, which is breathable and 100% ethically sourced. All profits from the sale of the shirts will go directly to the five beneficiary charities of this year's Walk.